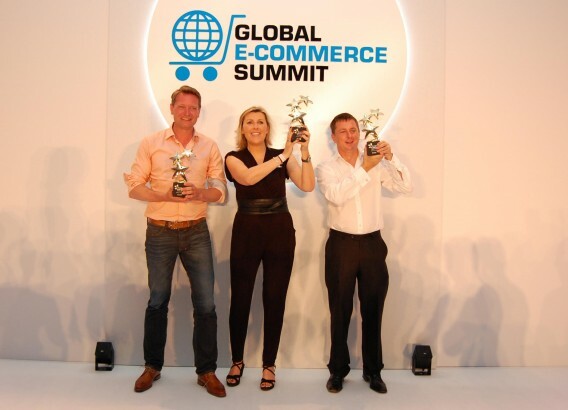 The winners of the European E-commerce Awards, hosted by Ecommerce Europe and the Global E-commerce Summit, have been announced. Bol.com, Tesco and Asos have been honoured with the golden awards in the Entrepreneurial, Cross-Border and Pure Player categories. The Award Ceremony took place during the Global E-commerce Summit on June 17, in the presence of 700 international e-commerce professionals and entrepreneurs. In Europe there are many brands, retailers and pure players who are doing amazing things in e-commerce. Some are content to innovate within the boundaries of their own countries while others are being even more pioneering in their engagement with other country markets. However, these innovative companies are not always visible to the whole industry. With this Award, we will recognize the e-commerce actors who have the most innovative, groundbreaking, smart, game-changing operations in Europe. As such, size and maturity are immaterial. However, the winner of this Award has to be a real entrepreneur in its field. This year, the winner is Bol.com from The Netherlands. According to the jury, Bol.com convinced the jury with great incremental innovation, unseen within many other established businesses. The company has reinvented itself every year. Bol.com has opened up to competitors by a new partner concept and has created a marketplace in a bold and innovative way. They engage competitors to drive their own growth. This is a sign of true innovation and entrepreneurship. The second place went to Worldstores.co.uk and the third place was secured by Lexception.com. The Top 5 of both the Omnichannel and Pure Player Awards were nominated by our professional jury and ‘quick scanned’ by the ShopExperience Audit executed by GfK. The Omnichannel Award was awarded to Tesco, with M&S ranking second and Bolia.com ranking third. According to the jury Tesco is winning the Golden Multichannel Award because they are a truely outstanding multichannel player across at least three international markets and they have achieved to deliver across all active markets. Tesco pioneered online groceries and this is still reflected in their large and leading market share. They were amongst the first grocery player to offer non-food online. Also, in terms of omnichannel, they played a pioneering role by introducing pick-from-store. Logistics and fulfilment are very well organized. Tesco innovated in plenty of areas, including launching virtual grocery stores at tube stations and interactive loyalty cards. Tesco is very strong in innovations both on the front- and the backend, the Tesco App for instance very much stands out. Tesco has become a true omnichannel business. Employees are connected, channels are very well integrated and knitted together. Also the internationalization of Tesco is very powerful. However, the integration of food and non-food e-commerce could, according to the jury, be further improved. Brand building and digital design are not ideal. Asos was awarded with the golden Pure Player Award, followed by Amazon.com winning silver, and Net – a – Porter who won bronze. According to the jury ASOS goes beyond purely generating transactions: They engage beyond the customer life cycle and become part of the whole life style of the shopper, engaging them to come back. They have a strong and sound international strategy that pays off in solid growth. They are strong in innovating features that make differences, such as the fashion finder and the pilot of changing rooms at pick- up points. ASOS’ efforts translate into loyal customers. Their content and communication is consistent, as is their presence across devices. They could improve on offering reviews and ratings and on customer service. For more information about the European E-commerce Awards, the jury and a picture of the winners please click here.